3 Story town house offers 3 bedrooms, 2.1 baths, and an attached 1 car garage! The main floor features laminate floors through the kitchen, dining, and living room. Kitchen finishes include granite counter tops, and stainless steel appliances. Lower level offers family room, additional storage and den. Covered deck off the main floor! ​Tucked away in the heart of Sandy Oregon is this beautiful new luxury town home! The main floor features laminate floors through the kitchen, dining, and living room! Kitchen finishes include granite surfaces and stainless steel appliances. 3 bedrooms + 2 baths upstairs. A family room and den on the lower level that also has a patio. You will love the view from the covered deck on the main floor. Located in the heart of Sandy Oregon is where this new town home development, Champion Village can be found. Floor plan A features laminate floors through the kitchen, dining room, and living room. Kitchen finishes include granite counter tops and stainless steel appliances. The 3 bedrooms, 2 baths are located upstairs. 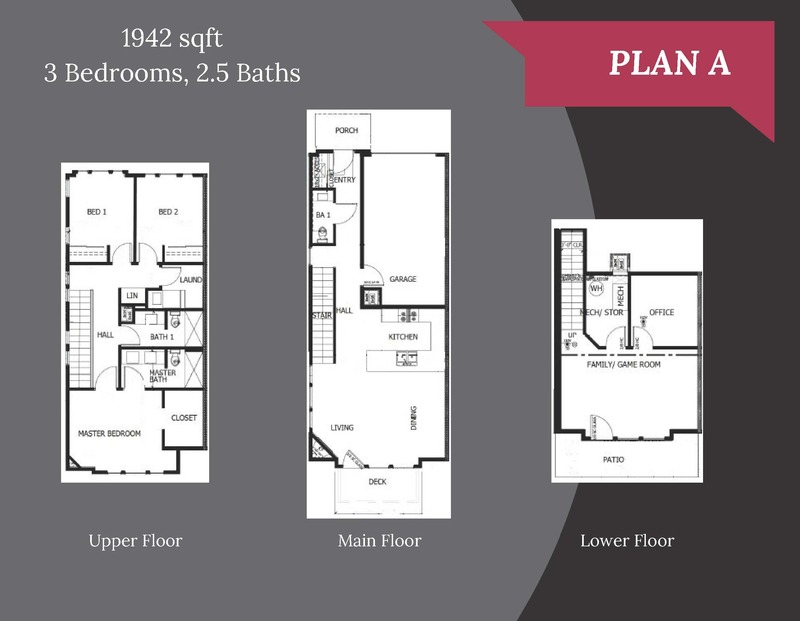 The lower level offers a family room, additional storage and den. Tucked away in the heart of Sandy is this beautiful new luxury town home! The main floors laminate floors though the kitchen, dining, and living room. Kitchen finishes include granite counter tops and stainless steel appliances. A bonus of being an end unit, this home also offers a gas fireplace in the living room. 3 Bedrooms + 2 baths upstairs. ​Bonus room on the lower level. You will love the view from the back covered deck.